Digital First Media has launched the first of its new “mobile community media labs”, one of a number of community news projects to be launched by titles within the company. Journalism.co.uk reported last month about the four new mobile labs, including “pop-up newsrooms”, to be introduced. They are being run by the San Jose Mercury News, the St Paul Pioneer Press, the York Daily Record and the New Haven Register. 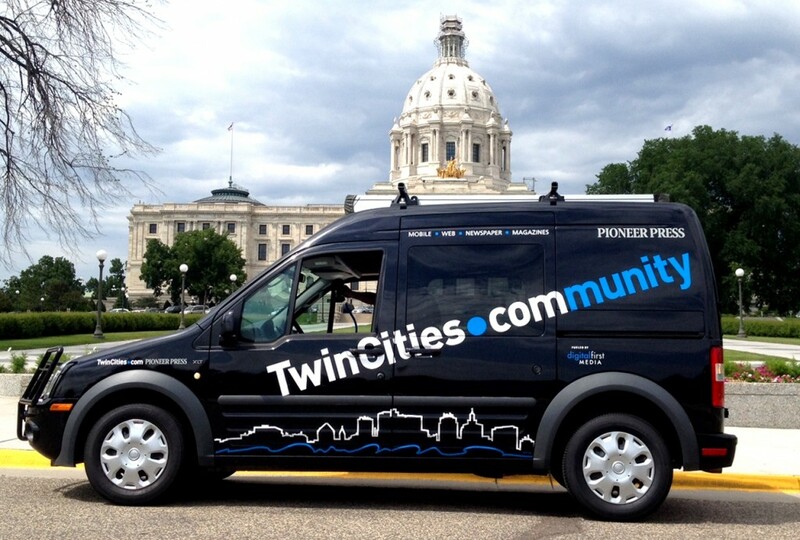 The first, TCRover, was launched on Friday by St Paul Pioneer Press, described in a press release as “a modified Ford Transit Connect wrapped with TwinCities.com and Pioneer Press branding” and “outfitted with WiFi, a generator, awning, chairs and a pull-down projection screen”. The Twin Cities are the perfect location for a mobile community newsroom. This is a sprawling metro area with two hubs, dozens of widely varying suburban communities and several shared interests, such as the sports teams. With the TCRover, the TwinCities.com staff will be able to engage people where they live and work. Digital First Media travelling in the van will teach the community skills such as “how to blog, how to interact with our site, even how to do research on topics that interest them”, the release adds. The adventures of the mobile community newsrooms can be followed on Twitter @TCRover. This entry was posted in Citizen journalism, Training and tagged community, Digital First Media, mobile newsrooms on July 30, 2012 by Rachel Bartlett. In the first panel session of the Global Editors Network summit in Hong Kong today, which looked at the impact of personalisation and “pro-sumption”, the overriding theme was for media companies to focus on a two-way conversation in order to meet the needs of their consumers. Dan Gillmor, director of the Knight Center for Entrepreneurial Journalism in the US, described the ecosystem as “more diverse”, adding that news outlets need to change their attitude “from knowing everything, or pretending to know everything, and imagining their role as more of a guide”. He cited the Guardian’s open newslist project as an example of community engagement which makes “perfect sense”, but later added that the involvement of the audience in journalism would need to differ based on the specific case or project. In some cases the audience can vote and make decisions and in other cases they will be part of the process in a different way and in some cases journalists will do the job they are trained to do and then get things from the audience. There are many ways to get the audience into this process. Not all are co-decisions but collaboration in a variety of ways. 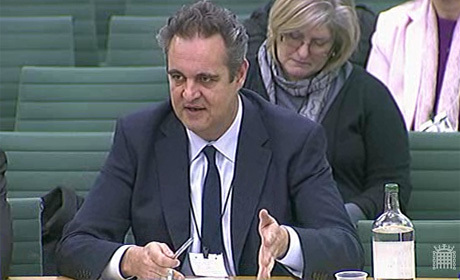 He also called on editors to engage in a conversation with those working outside the journalism sphere, urging them to “be very willing to use ideas from people not involved in journalism”. Fellow panel member Robert Amlung, head of digital strategy at ZDF TV in Germany, also spoke of the importance of community involvement and the development of the conversation in television specifically to a two-way process. I do trust the audience … We’re not letting the audience decide then dictate. As journalists we have our position, our ethics, all this we bring to the conversation and this will enrich the conversation and I still think journalists have something to contribute. It’s two-way, we will get something back. We get more feedback and when we do it right it will enhance quality. During his presentation he discussed the array of platforms now being used to access content, but added that while there are these new windows for content to be seen through, “the old world” and its communities must not be forgotten. New possibilities arise but the old world remains strong. Classical traditional media is still very much used … even newspapers are quite profitable today. It would be nonsense to talk about the demise of other media. This entry was posted in Events, Journalism, Online Journalism and tagged #news2011, community, Global Editors Network, personalisation on November 28, 2011 by Rachel Bartlett. 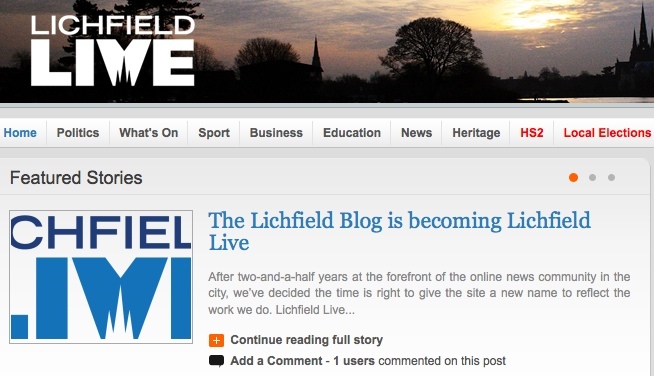 Hyperlocal news and community site the Lichfield Blog has been renamed Lichfield Live. Writing on the Lichfield Community Media blog today, director Philip John says that he had previously blocked the name change, concerned that it was “too risky, potentially losing the reputation we had built up”. But it became “hard to escape the fact that having ‘blog’ in our name was causing problems with how we were perceived”, he says. It sounds new. We’re very much a “new media” operation. It sounds timely. We’ve built a reputation for being first to have the news about what’s going on in Lichfield. It fits with what’s on. 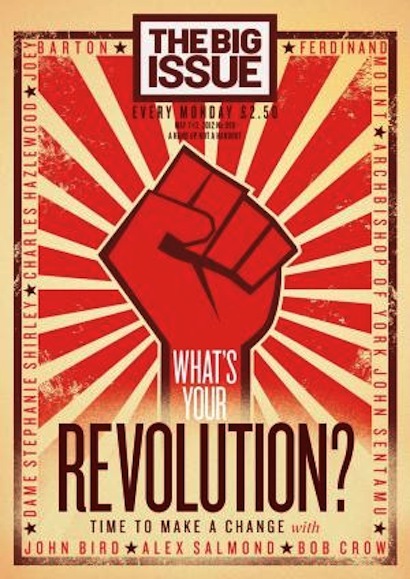 Our most popular section is “What’s On” and nicely ties into events. The Lichfield Blog isn’t dead though, it’ll carry on as a place for comment and opinion pieces from columnists “who live in, work in or represent Lichfield”. A new site is also due, which will cover the Burntwood & Chasetown region. See the new Lichfield Live site at this link. This entry was posted in Editors' pick, Hyperlocal, Social media and blogging and tagged community, Hyperlocal, lichfield blog, lichfield live on June 9, 2011 by Joel Gunter. Walsall Council press officer Dan Slee has posted the slideshow from a presentation he gave at the Socitm Learning from Better Connected event in Manchester. The slideshow takes a detailed look at case studies of social media use by local government and media. Connecting People: Advice for Local Government on Social Media and Hyperlocal sites. See more on Dan Slee’s blog. This entry was posted in Editors' pick, Online Journalism, Social media and blogging and tagged community, Dan Slee, learning from better connected, social media, walsall council on June 2, 2011 by Joel Gunter.